Asthma is one of the major noncommunicable diseases, and is an important cause of chronic suffering, disability and preventable deaths in the world. Everyday activities become a huge challenge for the world’s of asthma sufferers, says the Chair of the Global Asthma Network Professor Innes Asher from The University of Auckland. “Asthma causes disabling symptoms in millions of people who struggle to breathe, making ordinary activities extraordinarily difficult – things like going to school, working at a job, looking after children or ageing parents, running or even walking”, explains Professor Asher. “We know that about 1000 people die from asthma each day – far more than most people realise. The tragedy is that most of these deaths are actually preventable”. 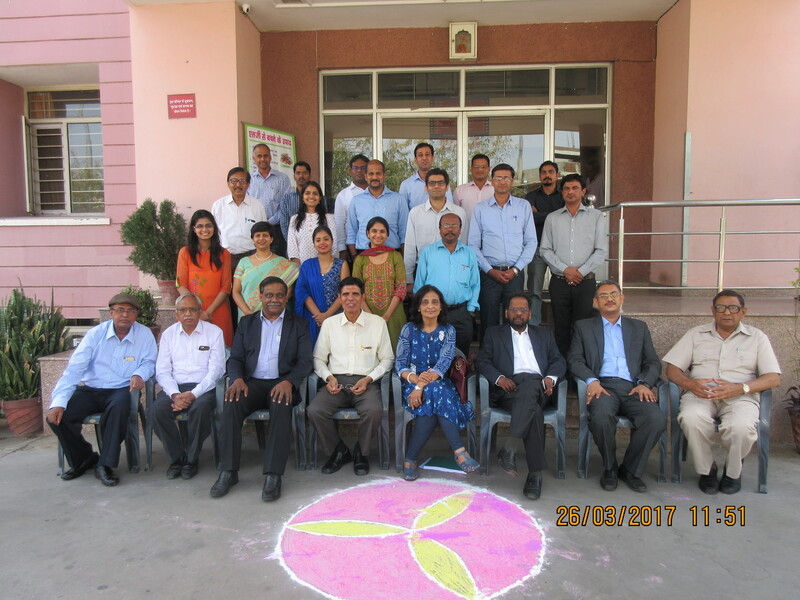 On Sunday 26 March 2017 investigators from all 9 of the Indian GAN centres met at Asthma Bhawan, Jaipur. 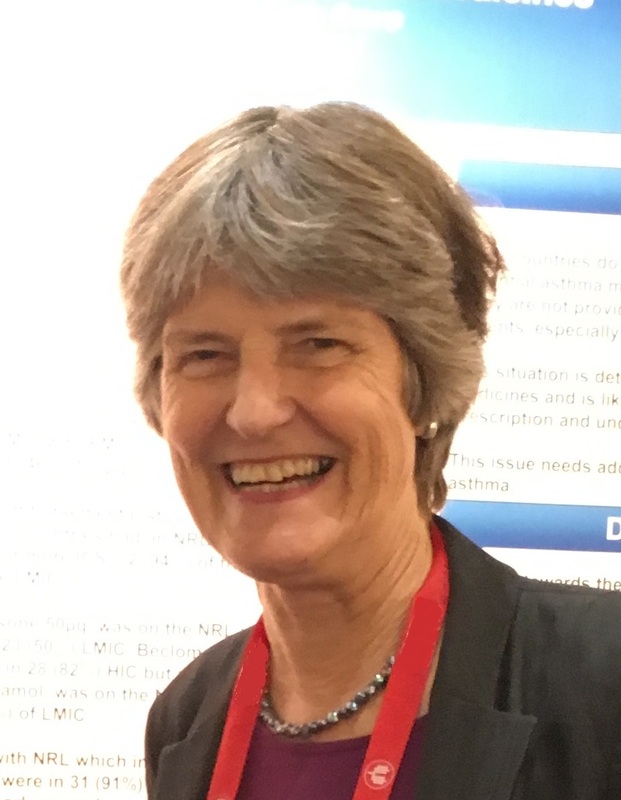 We are delighted to announce that Prof Innes Asher has been appointed to the WHO Expert Panel on NCDs, as an expert in chronic respiratory diseases. Prof Asher, who was recently interviewed for World TV (7:48-10:33) said, "I feel very honoured by this appointment, which is a great accolade for the Global Asthma Network". This workshop will be dedicated to the Asthma and COPD and their impact on lung health. 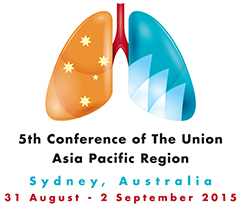 It will be focused on similarities and differences between the two most important chronic pathologies affecting the lungs and on overlap syndrome with new updates and developments in the discipline, including important topics such as guiding the treatment approach, the future of respiratory disease management, managing chronicity and many other important aspects. Ellwood P, Asher MI, Billo NE, et al. The Global Asthma Network rationale and methods for Phase I global surveillance: prevalence, severity, management and risk factors. Eur Respir J, 2017; 49: 1601605. http://dx.doi.org/10.1016/j.aller.2016.10.013. 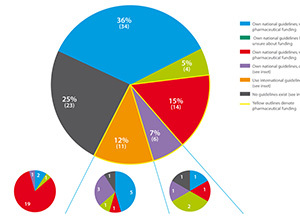 PA4187: Global Asthma Network survey of national asthma strategies Where are the gaps? Professor Luis Garcia-Marcos is currently at the American Thoracic Society (ATS) meeting in San Francisco, California. He is manning a GAN booth in the Global Community section of the Exhibitor Hall (Booth GC7). The ATS runs from May 13 to 18th. Almost 1000 people die from asthma each day – far more than most people realise. The tragedy is that most of these deaths are potentially preventable. Deaths from asthma are the tip of the iceberg of poor asthma control – asthma is a serious chronic disease, causing widespread disability and suffering at all ages. The effects on people with asthma and their families are bad enough, and the resultant loss of productivity results in huge costs to society; US$56 billion/year in the US alone. Bringing asthma symptoms under control requires solutions at global, national, local, community, family and individual levels. Following the success of the GAN booth at the American Thoracic Society (ATS) in San Diego last year, we are again this year having a GAN booth in the exhibitor’s hall at the ATS 2016 International Conference scheduled for 13-18 May 2016 at the Moscone Center, San Francisco, USA. Professor Luis García-Marcos, GAN Steering Group member from Murcia, Spain, has kindly offered to be present at the booth to meet any one that is going to the ATS this year and who would like to discuss any GAN related matters. The booth number is GC 7 and located in the Exhibitor Hall in the section named Global Community. Please note: There will not be anyone at the stand on Sunday 15 May as Professor García-Marcos has to be at his poster presentations on that day. The GAN collaborating centre in Kosovo, Kosovo Association for Immunology-Asthma and Allergy, is now member of the International Union of Immunological Societies (IUIS) and the European Federation of Immunological Societies (EFIS). 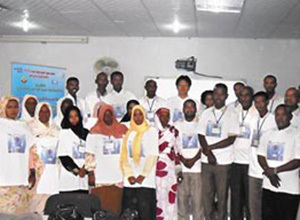 The votes for the 2015 IUIS New Membership Elections concluded on July 02 2015, and the application was approved by the IUIS General Assembly. Subsequently, the vote was ratified by the Council during its annual meeting, this year held in Medellín, Colombia on occasion of the Latin American Regional Federation’s triennial congress Immunocolombia 2015. Chair of the Global Asthma Network Professor Innes Asher presented on the Global Asthma Network at The Union Asia Pacific Region Conference in Sydney Australia. The conference was also attended by a number of GAN collaborators. The work of the Global Asthma Network was also reported in the media. 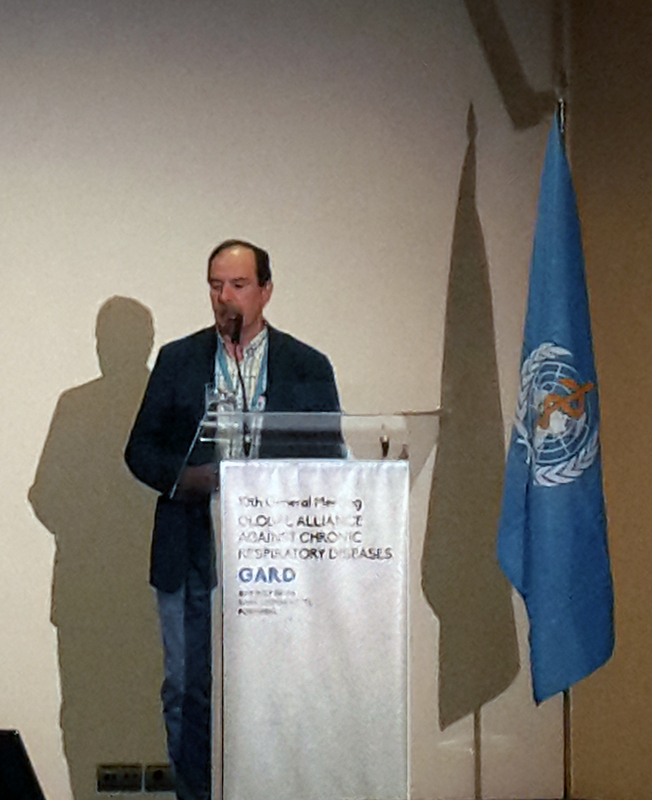 Steering Group member Professor Luis García-Marcos spoke at the 2015 Global Alliance against Chronic Respiratory Diseases (GARD) General Meeting held in Lisbon, Portugal, on 3-4 July 2015. 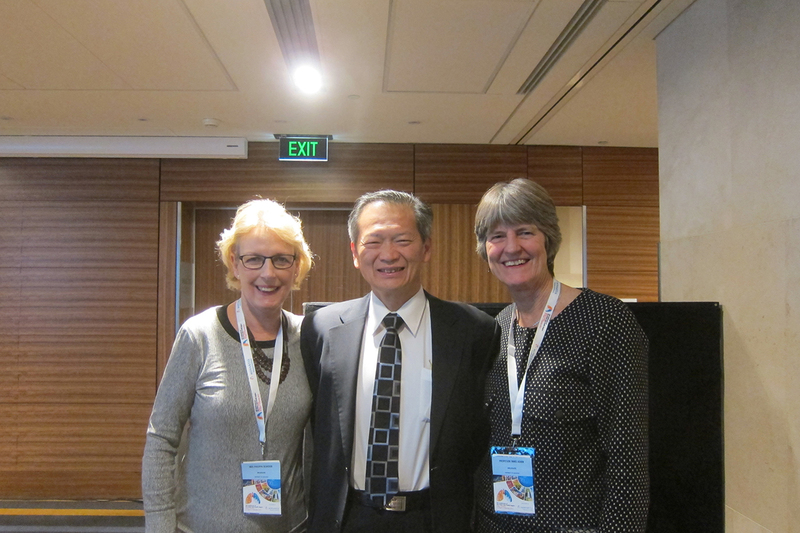 His presentation on the Global asthma Network was very well received and has generated great interest in the network. Tuesday 5 May is World Asthma Day - it is time to take control. Every day, millions of people around the world suffer distressing breathlessness and disability and many people die due to asthma. It stresses hospitals and health systems, families and workplaces, and whole economies. 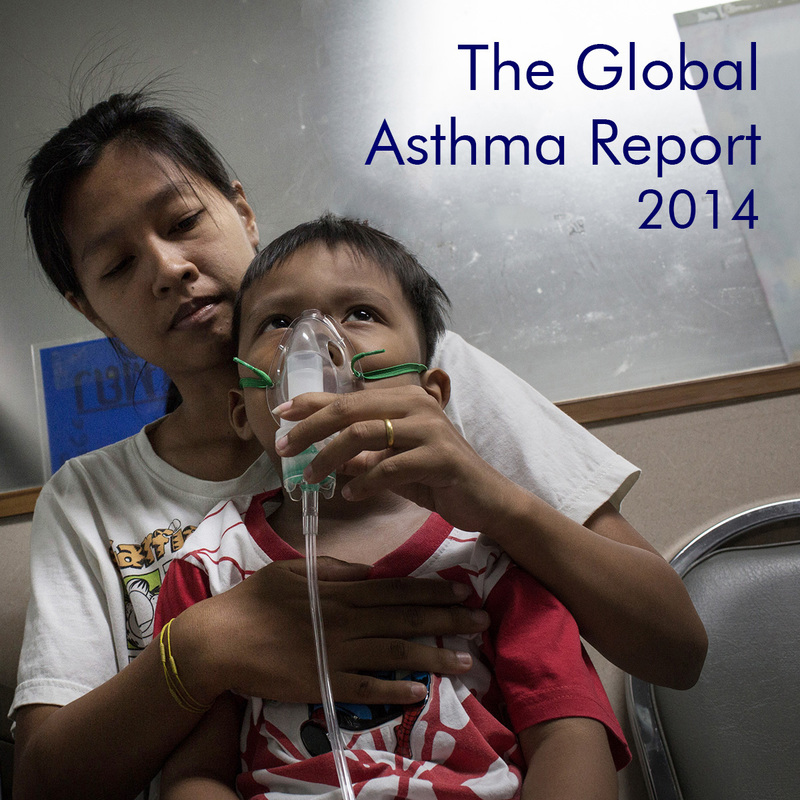 Asthma is a hugely neglected public health and ‘development’ problem in the world. 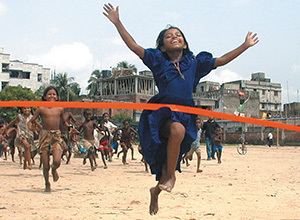 Much of the problem can be solved by concerted global public health action. The Global Asthma Report 2014 was officially launched at the 45th Union World Conference on Lung Health in Barcelona on 30 October 2014. This report includes strategic and practical recommendations and valuable information for governments, health organisations, health professionals, and people with asthma including: Latest Asthma Research; Maps and data on the global prevalence; Economic burden of asthma; Success stories; Key recommendations. The International Journal of Tuberculosis and Lung Diseas has published a series of articles focusing on the Global burden of CRDs. Members of the Global Asthma Network have contributed a number of articles towards this series. Asher I, Pearce N. Global burden of asthma among children. Int J Tuberc Lung Dis 2014; 18(11):1269–1278. Bissell K. Essential medicines for chronic respiratory diseases: can people breathe easily in low-income countries?. Int J Tuberc Lung Dis 2015; 19(1):1. Chiang C-Y, Aït-Khaled N, Bissell K, and Enarsen DA. Management of asthma in resource-limited settings: role of lowcost corticosteroid/b-agonist combination inhaler. Int J Tuberc Lung Dis 2015; 19(2):129–136. Asthma causes disabling symptoms in millions of people who struggle to breathe, making ordinary activities extraordinarily difficult – such as going to school, working at a job, looking after children or aging parents, running or even walking. More than 334 million people in the world suffer from asthma and the number is increasing – asthma is the world’s neglected epidemic. Steering Group member Professor Luis García-Marcos spoke at the 2014 NCD Child Conference held in Port of Spain, Trinidad and Tobago on 20-21 March. This important conference provided an opportunity to establish and strengthen regional partnerships - with a special focus on the Caribbean - to ensure the needs of children, adolescents and youth are a priority focus within the context of NCD action and the post 2015 agenda. The Forum of International Respiratory Societies (FIRS) has called for greater research into the origins of asthma and highlighted the lack of availability of medicines in its latest publication: Respiratory diseases in the world. Realities of Today – Opportunities for Tomorrow, an overview of 5 major respiratory diseases: COPD, asthma, acute respiratory infections, TB, and lung cancer. The publication, in partnership with the Union, emphasises prevention, treatment, and global reduction of asthma and other respiratory diseases through the use of current effective tools coupled with greater research and increasing healthcare capacity. This new paper from steering Group Members I Asher and N Pearce published in the International Journal Against Tuberculosis and Lung Disease presents a summary of what is known about the global burden of asthma in children. It is also the topic of the issue's editorial. 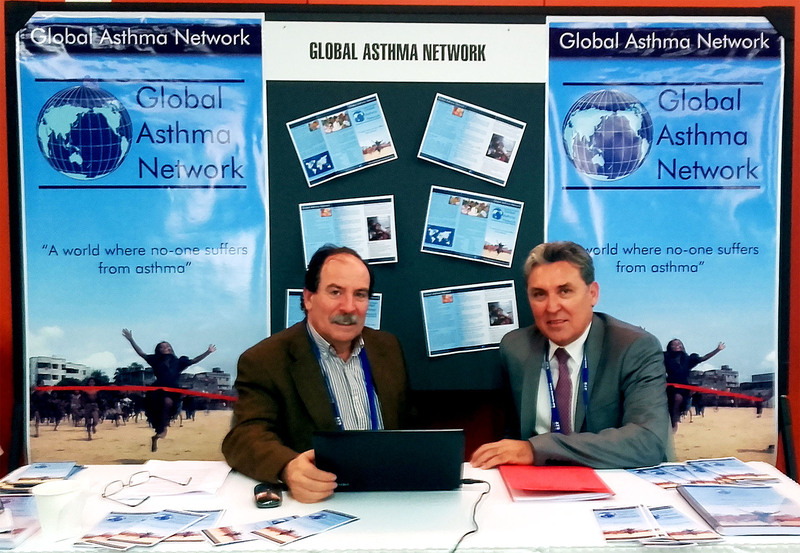 Palau was the 120th country to join the Global Asthma Network. 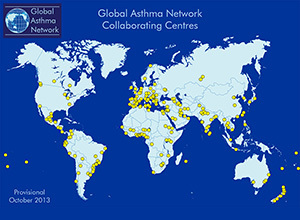 The Global Asthma Network now has 280 centres in 120 countries and the number is growing - see the Centres Page for a full list of centres in the Global Asthma Network. We welcome all new centres particularly enquiries from these countries. Global Asthma Network Chair Professor Innes Asher spoke at the Forum of International Respiratory Societies (FIRS) side meeting on the 9th of July at the UN NCD Review meeting in New York. This side event explored the integration of chronic respiratory disease, NCDs, and health across all dimensions of sustainable development. For more information download the brochure or see the links below. The 2014 NCD Review was called for in the UN Politication Declaration. It was the second time ever NCDs have a standalone political meeting at the UN General Assembly, and provided a critical opportunity to take stock on progress, share successes and lessons learned, challenges and opportunities, and recommendations to guide the NCD response beyond 2014. Documents and further information pertaining to this meeting can be found on the UN, WHO and NCD Alliance websites. 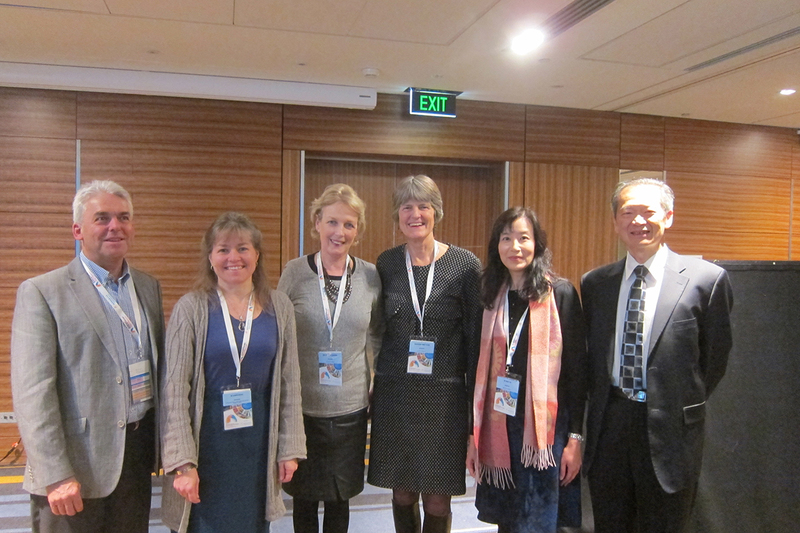 Professor Innes Asher, Global Asthma Network Chair, spoke at the 44th Union World Conference on Lung Health, on Saturday, 2 November 2013 at 11:30. "Shared air, safe air?" was the theme of the conference, which ran from 30 October through 3 November at the Palais des Congrès in Paris. Prof Asher spoke on "Asthma - The forgotten epidemic". Prof Ross Anderson, UK air quality expert, led off the 44th Union World Conference on Lung Health, giving the Special Guest Lecture at the Opening Ceremony on Thursday, 31 October 2013 at 17:30. "Shared air, safe air?" was the theme of the conference, which ran from 30 October through 3 November at the Palais des Congrès in Paris. Prof Anderson spoke on "Air Pollution and Asthma". The availability, pricing and affordability of three essential asthma medicines varies greatly according to a new study of 52 low-and middle-income countries. The study, by researchers at the University of Auckland and the International Union Against Tuberculosis and Lung Disease (The Union), was published in the journal PharmacoEconomics. It was led by Dr Zaheer Babar from the University’s School of Pharmacy and Dr Karen Bissell from The Union and the University of Auckland, School of Population Health. Access to affordable medicines is threatened by the proposed Trans Pacific Partnership Agreement, according to the New Zealand-based leader of the Global Asthma Network, Professor Innes Asher. Asthma is a major public health problem affecting 300 million patients around the world. Many economic and political factors impact the efficiency of asthma prevention. Examples include poverty, poor education and infrastructure, low public health priority and a lack of solid global data on morbidity and mortality from asthma. To tackle this huge global health problem the European Academy of Allergy and Clinical Immunology (EAACI) has published a “Global Atlas of Asthma”. This Atlas aims to provide a platform for strategic planning for asthma in a multifaceted way, integrating research, education and global policies. The “Global Atlas of Asthma” has been written by an international group of 80 opinion leaders in asthma including Professor Innes Asher, co-chair of the Global Asthma Network. President of the EAACI, Prof. Cezmi Akdis, states that the “Atlas” will become an essential reference source for multi- sectoral usage, covering all aspects of asthma from epidemiology, mechanisms, risk and protective factors to management, prevention and control. The Global Atlas of Asthma was launched during the EAACI–WAO World Allergy and Asthma Congress 2013, 22–26 June 2013 in Milan. This ISAAC Phase Three EQ paper, Cooking fuels and prevalence of asthma: a global analysis of phase three of the International Study of Asthma and Allergies in Childhood (ISAAC), has once again attracted editorial comment in its publishing journal, Lancet Respiratory Medicine View Editorial. Asthma causes disabling symptoms in millions of people who struggle to breathe, making ordinary activities extraordinarily difficulty – things like going to school, working at a job, looking after children or aging parents, running or even walking. 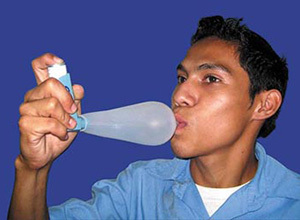 About 235 million people in the world suffer from asthma and the number is increasing – asthma is a neglected epidemic. But good asthma management can change all this. There has been already considerable interest in centres wishing to participate in the new Global Asthma Network surveillance (view map). Investigators who would like to express an interest in participating in a surveillance programme modelled on ISAAC Phase Three are encouraged to complete the online Expression of Interest (EOI) form. Alternatively, you may download the EOI as a word document, scan it and send to Philippa Ellwood (p.ellwood@auckland.ac.nz) or alternatively send it by fax (64 9 3737602). The Global Asthma Network centres normally will be one centre for each city led by one Principal Investigator. It is anticipated that the majority of surveillance centres will also participate in further modules which will be developed in due course. The latest Lancet NCD Series 2013 highlights the neglect of asthma among other NCDs(See first sentence, paragraph 2) read article. The Lancet Respiratory Medicine has published the first paper from the Global Asthma Network. This paper highlights the issue of asthma as a neglected disease and states why it cannot be ignored in the global NCD agenda. Read Article. The latest ISAAC EQ (Environmental Questionnaire) paper has shown that asthma rhinitis and eczema may be linked to consumption of fast food. The paper has been reported by media agencies around the world such as Al Jazeera (below). Taking a remarkable and very positive step forward to address global health, UN Member States unanimously agreed a resolution in December 2012 reiterating the importance of universal health coverage (UHC). This annual global health and foreign policy resolution affirms the importance of UHC in improving the health and wellbeing of all citizens, particularly the poorest and most vulnerable. It reiterates the links between heath and development, and encourages Member States to advance the strengthening of their national health systems through UHC. The full text of the resolution can be found here, along with the summary of the discussion in the GA.
Prevention and control of noncommunicable diseases: guidelines for primary health care in low resource settings. 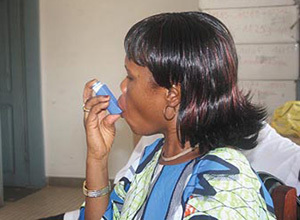 These guidelines aim to provide evidence based recommendations on diagnosis and management of type 2 diabetes and management of asthma and chronic obstructive pulmonary disease in primary health care in low-resource settings.It recommends a set of basic interventions for physicians and health workers. The main objectives are to reduce avoidable death and morbidity related to these conditions and to improve health outcomes in resource-limited settings where management facilities are limited in terms of availability of diagnostic facilities and medicines. The Global Asthma Report highlights issues surrounding asthma, and provides an overview of what is known and uncertain about the causes and triggers of the disease, the global prevalence, the implementation of management guidelines, the progress being made and the significant challenges today and for the future.